The first known printed reference to a “milkshake” dates back to 1885. It contained one part whiskey, ‘for medicinal purposes’. ‘Shakes’ got their name from being served in bars. If the customer enjoyed the specialty drink, he shook hands with the bartender. If not, the bartender wouldn’t get a tip. 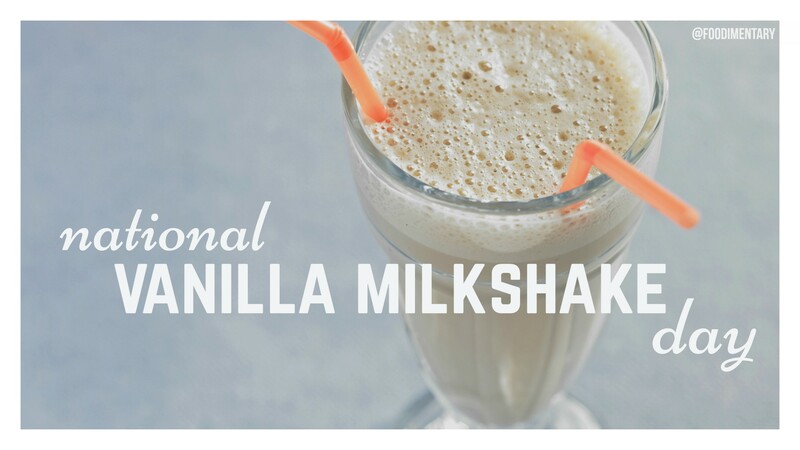 The first diner milkshakes were made with a mixture of milk, malt and a flavoring(vanilla, chocolate, etc.). The malt added an ‘ice cream’ texture to the drink. 1861 Sir Frederick Gowland Hopkins was born. He discovered what we now call ‘vitamins,’ essential nutrients needed to maintain health. 1948 The TV show ‘Toast of the Town’ premiers on CBS with Ed Sullivan as the host. Which would sure go good on hot day like today!